Repeat All 2 to 3 times! 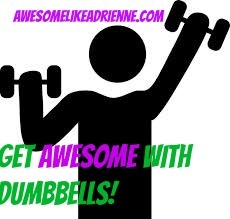 Posted on January 28, 2014 by awesomelikeadriennePosted in WorkoutsTagged at home, biceps, chest, deadlifts, dumbbells, exercise, gym, rows, shoulders, triceps, workout. Next Next post: Start a LOVE affair with HEALTH this month!